People new to this game may ask, what is the fuse about this game all about? Why is it so popular? 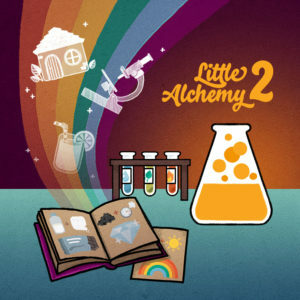 A simple answer to this question is that Little Alchemy is a soft and interesting game like Subway Surf, Temple Run, etc. However, for people who are already players of the game, one thing you never stop doing is looking for information on how to create certain elements. Time will come when random combinations will not help us, and we’ll be forced to seek this information. Reading this article, it is likely that you have interest in knowing how to create ‘Space.’ If that is true, then I’ll say congratulations to you as you have just found the exact article you need. Not only will this article teach you how to create the element, it will also discuss other Alchemy elements that can be yielded from Space. Also, there will be information on parent elements of Space: ‘How To Make Star, Moon, Sky And Sun’. Space is a quite resourceful element, and it is one the elements that are highly sought after by Little Alchemy game players. However, good news is that this element is not an element that is so difficult create. Space has three combinations from which it can be yielded. Furthermore, the elements that are used to create Space include: Star, Moon, Sky And Sun. Of these four elements, Star is the most important as it is a component of all the three combinations that yield Space. Star can be combined with any of Moon, Sky and Sun, to yield Space. Space is not a final element, meaning that it can be combined with some Little Alchemy elements to yield new elements. Final elements are Little Alchemy elements that can not be combined with other elements — in short, they can not be used to create other Alchemy elements. Space has eight unique combinations. Elements with which it forms new elements include: Airplane, Earth, Glass, House, Human, Life, Stone and Time. Giving full details of Space combinations, Space + Airplane = Rocket; Space + Earth = Planet; Space + Glass = Telescope; Space + House = Space Station; Space + Human = Astronaut; Space + Life = Alien; Space + Stone = Meteoroid; Space + Time = Tardis. None of Space parent elements are basic elements. All its parents elements have to be created, just like it. Starting with Star which is the most important of all the four parents, Star is more resourceful than Space and it can be created from two combinations. These combinations are: Night + Sky and Night + Telescope. Moon is also an element having multiple combinations that can yield it. There are two combinations and three elements that yield Moon. Full details of its creation combinations are: Cheese + Sky and Stone + Sky. Sky is quite very resourceful, although there is only a single Little Alchemy combination to create it. To create Sky, all you need to do is to combine Air and Cloud — its parent’s elements are very popular. Sun is the last parent of Space; it can be created by combining Fire and Sky.